A new exciting tripod has been added to the Velbon range, in the shape of the UT-3AR Travel Tripod, which comes complete with an Arca Swiss compatible ball and socket head. Weighing in at a mere 787g, the newcomer is able to support an impressive payload of 3kg of DSLR or CSC camera equipment. This should make the model appeal to advanced amateur and enthusiast photographers looking to take next-level images, but without the penalty of excessive weight. What’s more, the UT-3AR is small and discreet, folding down to only 29.5cm. The legs can be pivoted through 180 degrees, enabling them to streamline the tripod’s profile, for easy storage. It can also be easily attached to a belt for transport, or packed away into a backpack. Featuring Velbon’s Ultra fast twist-lock system, the 5-section legs can be rapidly extended to a height of 135.5cm, which is useful for most everyday situations in which the travelling shooter may find themselves. The versatility of the UT-3Ar is further increased via the adjustable centre column, which can extended for extra height, but also removed and inverted, to allow the camera to be placed at almost ground level, for unique perspectives and precise macro photography. 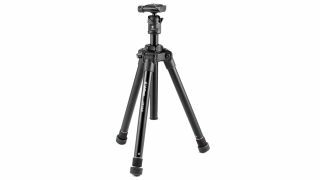 The Velbon UT-3AR Travel Tripod is on sale now for a recommended retail price of £79.99.